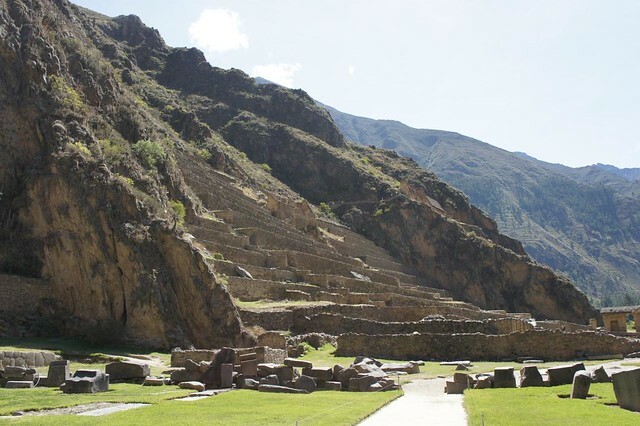 Dating back to the start of the 15th Century, the impressive Ollantaytambo is home to the ruins of an unfinished Sun Temple. The building was interrupted suddenly by the Spanish conquest, meaning that the man-made terraces and massive foundations were left half-built. Whilst most of the buildings in the town were converted by the Spanish into churches and living accommodation, the remains of the temple and terracing have been well-preserved. 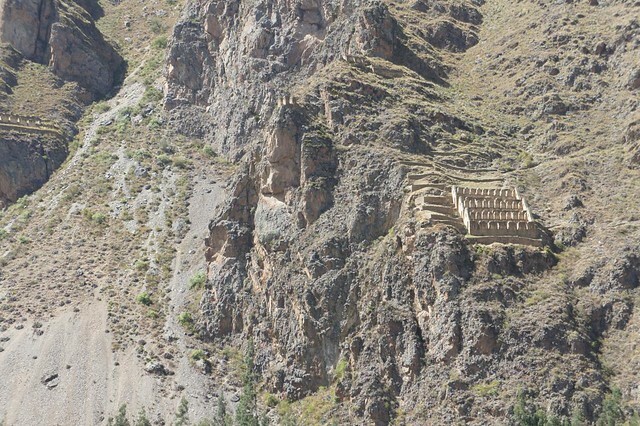 With no written word inherited from the Inca Culture, it has been left to historians and archaeologists to work out the meaning of the place and to piece together the fragments of the buildings to devise a plausible history. 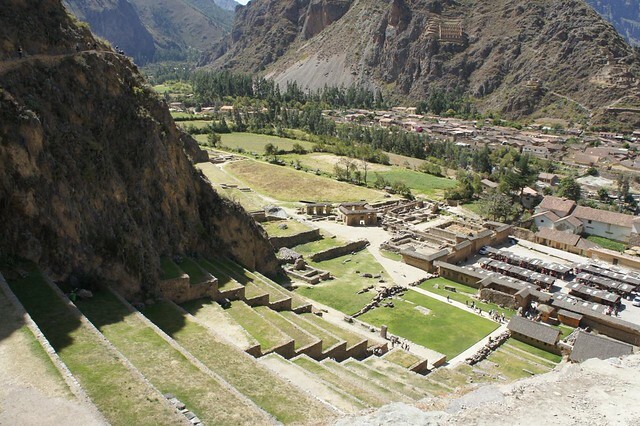 The site offers impressive views of the Sacred Valley and also gives good indication into Incan building techniques. They were not permitted to use wheels as the circular shape was felt to be too close to the image of the sun that they worshipped. Instead, rollers were used to move the enormous granite rocks from a mountain on the other side of the valley to the chosen site. The sheer scale of the build is awe-inspiring, not to mention when you discover that the terraces here were for decoration only, with no agricultural purpose. The complex also give an interesting insight into Incan Culture, highlighting the importance of the sun and sunlight in their mythology. The triangles seen in nature from the mountains and valleys are replicated in the building design and the East facing temple is positioned to make the most of the winter solstice and to capture the earliest dawn light. On the mountain opposite the ruins are more terraces and, if you squint a little and look to the left of them, it is said that you can see the face of one of the gods looking at you. 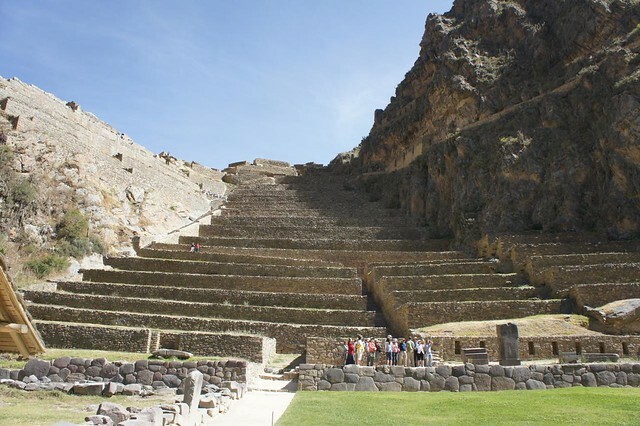 Ollantaytambo lies at about 2,800m altitude so is comfortable. That said, to make the most of your visit here, you will need to climb up some of the terraces, so expect some light exertion.